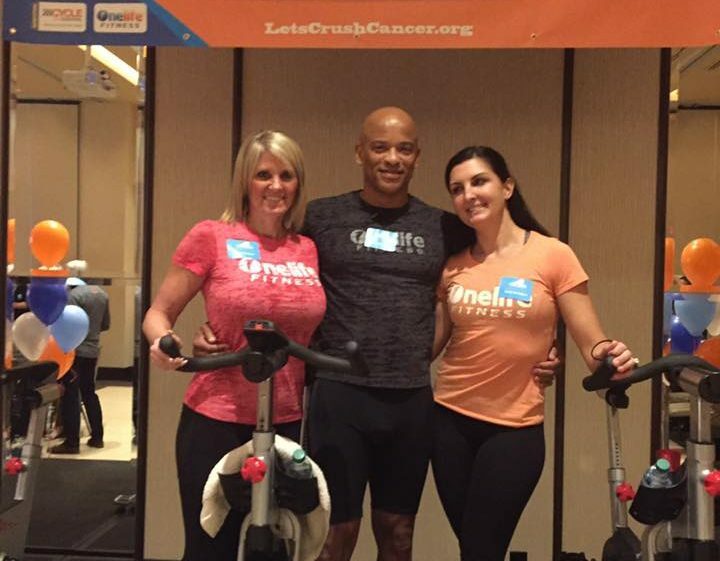 Our own Darryl Henderson helped kick off Crush Cancer this February. Darryl teaches Spin classes locally and is known for his enthusiasm and challenging classes! 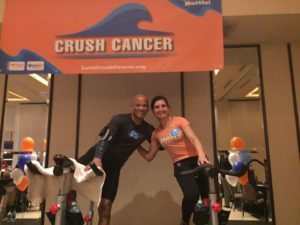 Crush Cancer is the precursor to Cycle for Survival. It invites current organizations that are sponsoring the larger event to learn more about the upcoming Cycle for Survival 2017, and it invites new potential donors. 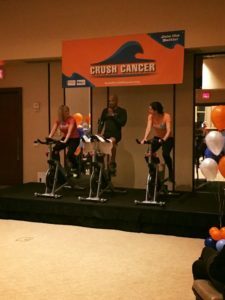 CRUSH CANCER is a local FUNdraising event benefiting Cycle for Survival, the national movement to beat rare cancers. ​Cycle for Survival’s high-energy indoor team cycling events provide a tangible way for you to fight back — 100% of all money raised directly funds lifesaving rare cancer research. ​100% of every donation to Cycle for Survival is directly allocated to research at Memorial Sloan Kettering Cancer Center within six months of the events. The donations go to pioneering research and clinical trials, and have already led to new and better treatments for cancer patients worldwide. Memorial Sloan Kettering researchers collaborate with institutions around the world, and have led the way in developing new ways to diagnose and treat cancer.